Fayetteville fire officials are calling three separate house fires in the 2700 block of Rivercliff Road off Eastwood Avenue suspicious. 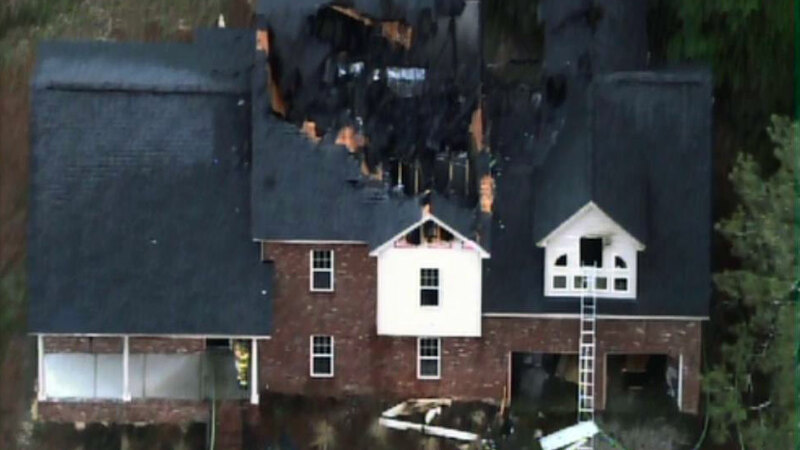 FAYETTEVILLE (WTVD) -- Fire officials in Fayetteville are calling three separate house fires that happened on the same street early Tuesday morning suspicious. Firefighters in Fayetteville are investigating three house fires in the 2700 block of Rivercliff Road off Eastwood Avenue. It's a familiar scene in the neighborhood where fires have burned down five homes in the last eight years. 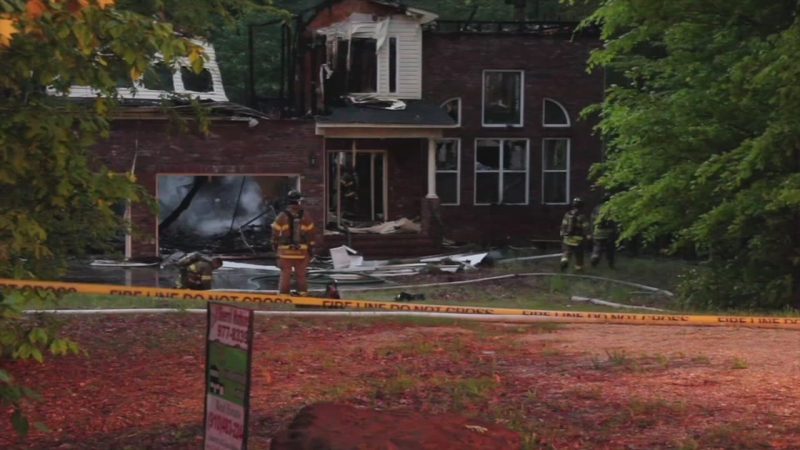 The three homes that burned Tuesday morning are the same three that burned down in Dec. 2007. They were all sitting empty and ready to be sold. Real estate agent Sherril Watkins with the Residential Group got a call this morning. "They said, 'Did you hear about the Rivercliff homes? They were all burnt to the ground,'" said Watkins. She's the broker for a local builder who's been trying to sell the three houses on Rivercliff Road since last year. "It's just devastating," she said. "It was devastating." Tuesday morning, Jeff Hart's wife called 911. They could see flames shooting out of at least two homes in their cul-de-sac. "I came out and wanted to make sure that our neighbors were awake and aware so that their house didn't catch on fire," said Hart. When firefighters got to the scene, they spotted a fire burning on the second floor of a third home. They were able to stop those flames from spreading, but the other two houses were too far gone. "We've seen this before," said Hart. "This is the second time that all three of these houses have burnt down. So it's no surprise." Fire officials never charged anyone in the 2007 fires. Tuesday afternoon, they were still trying to contact the owner who rebuilt the homes. Watkins called his houses "stunning." "I feel devastated for him," said Watkins. "I know he's got to be sick to his stomach, if he's even heard yet." She said just within the last two weeks, there have been several interested buyers ready to make an offer. "The one on the river was $320,000 and it was absolutely my favorite," said Watkins. As for the neighbors who have watched homes just across their street burn down one too many times, it may be time for them to consider moving. "We thought about maybe trying to sell our house to move out of this area a few years ago," said Hart. "We feel a little uneasy living down here." Firefighters spent nearly 12 hours on the scene Tuesday, looking for a cause and origin for each of the fires. The SBI is also investigating.